William Kent Haydock, longtime resident of Darien, passed on peacefully at home on Feb. 4 at the age of 93. Kent Haydock, 93, passed away on Feb. 4. His funeral will be on March 23. He leaves his beloved wife of nearly 63 years, the former Caroline Pinckney Prioleau (Pinky), whom he married in Charleston, South Carolina, as well as their three children and families. Kent was the son of the late Roger and Marjorie Kent Haydock of Wyncote, PA, a suburb of Philadelphia. Following his graduation from Cheltenham High School, where he captained the wrestling team and won the all-suburban wrestling championship, Kent entered the U.S. Naval Air Corps. He became a commissioned naval aviator and ensign as World War II ended. Returning to the University of Pennsylvania’s Wharton School, Kent graduated in 1949 with a major in marketing. In a class of 4,500, Kent was recognized as one of the top four “Honor Men,” won Penn’s highest award for all minor sports, and was elected to the Sphinx Senior Society, a select group chosen for their achievement, character, and leadership. He later became an early president of the University of Pennsylvania’s Club of Fairfield County. Winning a campus-wide advertising contest at Penn helped Kent land a position with advertising agency N.W. Ayer. There he created a series of cartoon ads that ran in the Saturday Evening Post. His career then shifted to the promotion of magazine advertising at Life magazine, American Weekly (Hearst’s Sunday supplement), and subsequently at Reader’s Digest, where he was elected president of the regional magazine promotion group, MPG. Kent moved on to the promotion of professional journals next, first with American Banker and then Medical Economics. 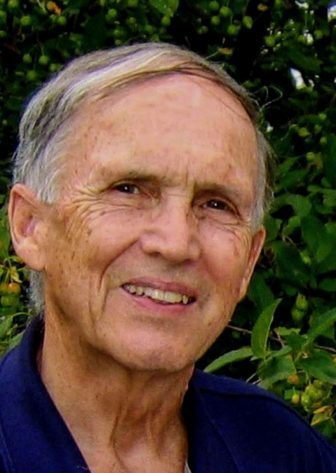 Kent was a devoted member of St. Luke’s Episcopal Church in Darien. He was a lay assistant for 25 years, a member of the vestry, an artist and a writer, among other roles. He was also an active member of the Senior Men’s Association, serving a term as president. He taught English as a second language, counseled local small businesses, and was appointed chair of Darien’s Deer Management Committee, where he served the community for 15 years, with a special focus on combating Lyme disease. In addition, Kent and Pinky served 20 years on the membership committee of The Tokeneke Club. He long enjoyed playing tennis and bridge, became an award-winning watercolorist, a family genealogist, and a personal investment manager for many years. Devoted to his family and always a gentleman, Kent was a kind and generous man with a strong faith, a wonderful sense of humor, and a real interest in others. He will be dearly missed by his family and large circle of friends. Along with his loving wife and anchor Pinky, he is survived by their three children: William Kent Haydock, Jr. (and Cynthia Fetty) of Burlingame, California, with his children Sarah (and Christopher) Dall and Andrew Haydock; Caroline (and John) Tibbetts of Darien, with their children Laura (and Robert) Witney and Parker Tibbetts; and Thomas (and Deborah) Haydock of Apex, North Carolina, with their son Christopher Haydock. Kent is also survived by a great-grandson, Mason Dall. In addition, he leaves his sister, Marjorie (Peggy) Haydock McConnell and her husband Howard of Ambler, Pennsylvania, as well as much-loved nieces and a nephew. He was predeceased by his brother, Roger Haydock Jr., of Maple Glen, Pennsylvania. A memorial service will be held at 11 a.m., March 23, 2019 at St. Luke’s Parish, Darien. In lieu of flowers, memorials may be sent to St. Luke’s Parish or to Person-to-Person at 1864 Post Road, Darien, CT 06820.